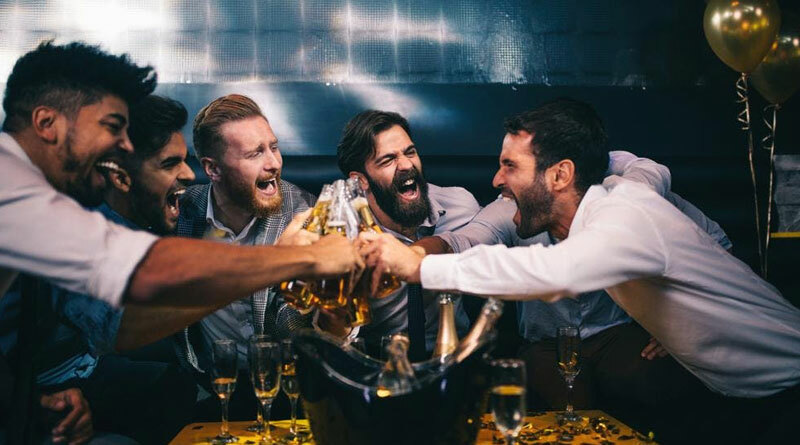 Your friend is tying the knot in a few weeks and you are in charge of making arrangements for the bachelor party! Why not doing it in a different way so that your buddies remember it for a long time? We offer party bus rentals services for organizing a ravishing bachelor party. It is for sure one of the best ways to have fun with the groom. It will also serve to be one of kind experience for your party guests. The plenty of customizable space inside the party bus allows you to make your party as debauched or as ethical as you want it to be. You will get a completely private space inside the bus so that you can indulge with all your buddies in a complete party mood. So, don’t wait and book our party bus today and make your bachelor party worth remembering. We are among the top limo bus companies in Las Vegas, offering a fleet of party buses at quite an affordable price. If you have a guest list of up to 15 people, then you can go with our mini-van for enjoying a comfy party. For a larger group, you must choose our huge-sized party buses that can easily accommodate up to 40 passengers. All of our party buses are equipped with luxurious amenities that will add to the party fun. These amenities include the latest sound systems, LED screens, disco lights and a mini-bar to chill your favourite beer and other alcoholic drinks. All of the party buses also have plush leather seats and air-conditioning systems to make your ride as comfortable and fun. We provide you the opportunity of choosing which way to go in the city. You can thereby decide to go club hopping and enjoy the nightlife of the Sin City. We ensure your safety inside the bus as we have licensed and well-trained chauffeurs to take care of the driving and parking needs.